Like us on Facebook for our Latest Deals & Offers! Two X Two Petcare stock a huge range of petfoods treat and pet accessories by brand names including Arden Grange, Burns, James wellbeloved, Burgess Hills Science Plan, Iams Eucanuba, Naturediet, Natures Menu, Anglian frozen foods, Natures Menu,Wafcol, Royal Canin,Hills, Science Plan, Canidae, Burns, Akela, Applaws, Pettex cat litter, bucktons cage bird seeds, wild bird seeds, peanuts and much much more. 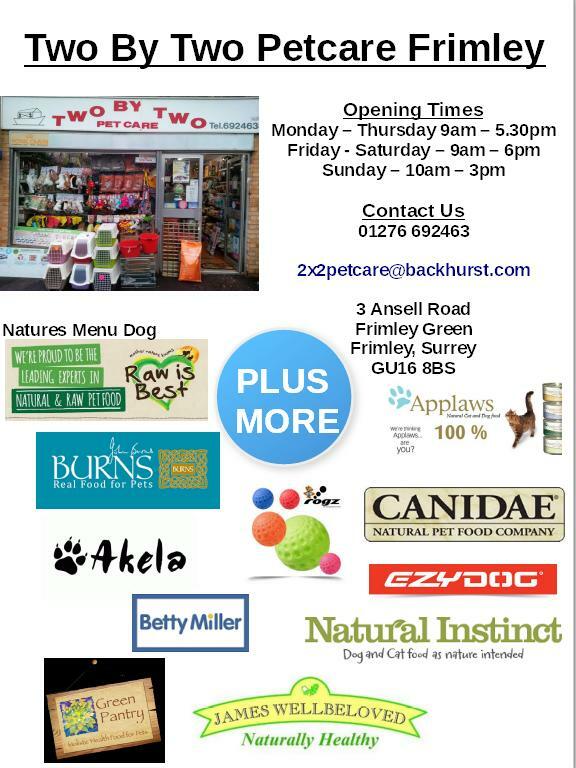 Petshop Guildford, Pet shop Guildford, Animal feed Guildford, Dog food guildford, animal feed surrey.